The Shrub Place scheme’s latest rejection in Edinburgh throws up issues re density and quality. I believe Wimpey’s decision to apparently use in-house architects did not help it; I also believe that if we are to protect our countryside and its communities from over-expansion, densities need to be upped in our cities, not reduced. Irrespective of whether the architect is unknown (and in-house in this instance) or a famous design architect, large schemes like this must try so much harder to gain planning permission. The tick-in-the-box ‘negative not positive’ UK planning system can let some large ones through and many of us have argued for years that this be changed. Pressure from community groups, conservation, heritage and amenity societies seems a little unstructured but tends to operate best when certain individuals are a) angered and b) have enough time to mount a strong campaign. This fairly hapahazard opposition should be harnessed by a City masterplan usefully controlled by a City Architect. Large projects should include meticulous landscaping, and in urban sites we should demand underground car parking; even at South Gyle (Site A) on the city perimeter this has been achieved. Regarding the appropriate urban densities, my aspiration to broadly increase these seems to be an unpopular view amongst residents, but as the Urban Task Force with Lord Rogers have stated, we have to make difficult choices. If we desire sustainability, the city is the prime location for population growth. As discussions continue regarding Edinburgh having a City Architect (let’s hope the resulting role and title are not ‘woolly’), here is a key issue that should not be left up to individual applications: strategy for density fully utilising brownfield sites first. There are obvious areas such as adjacent to the Meadows where careful consideration will limit heights to a sensible level, but here, set off Leith Walk, I feel we can happily rise above the tenement frontages to the Walk. In theory, high density should provide more amenity land – not just dull landscaping but also habitat-rich nature gardens – that should be seen as long-term benefit by communities. ‘Not in my backyard’ campaigns are great at seeing off poorly thought-out schemes but should not deflect a citywide strategy to house people within the city’s limits, thus limiting urban sprawl and unnecessary pollution. Thus the City Architect idea sounds hopeful, but we also need to monitor how many planners have architectural education, knowledge and interest. Shrub Place seen in isolation seems like a battle won for quality given the standard of flats, elevations and landscaping proposed. The overview however shows unrelenting pressure on the countryside – in Lothian the affected sites are Archerfield, Amisfield, Aberlady, Haddington, Dirleton, Dunbar and latterly the rejected destruction of Musselburgh’s ornothologically-rich Lagoons. 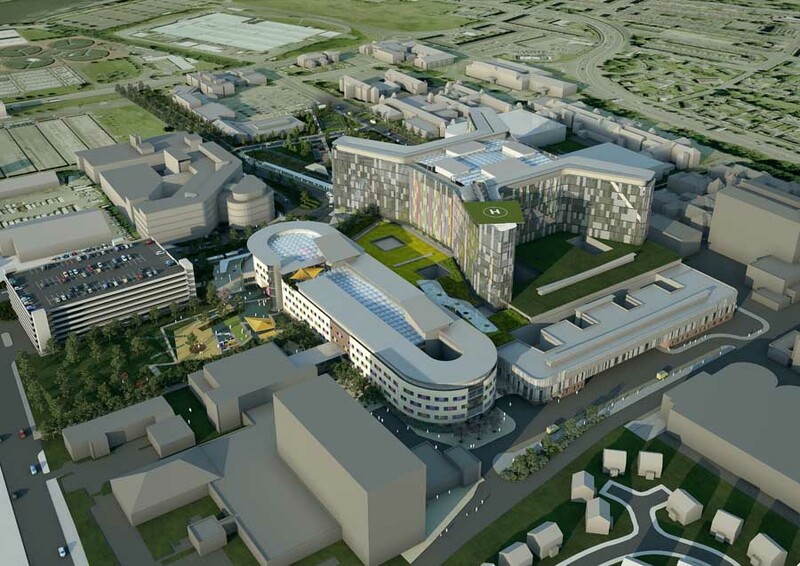 The controversy over the new Royal Infirmary is part of this equation: building location and transport strategy’s affects on access, sustainability, pollution. The high-density nodes fast appearing at London’s transport interchanges seem to show us Scots going in the opposite direction. Wimpey Homes Holdings Ltd are based at 28 Barnton Grove, Edinburgh, Midlothian. Postscript: The Shrub Place Inquiry decided 2004 – see Shrub Place page. 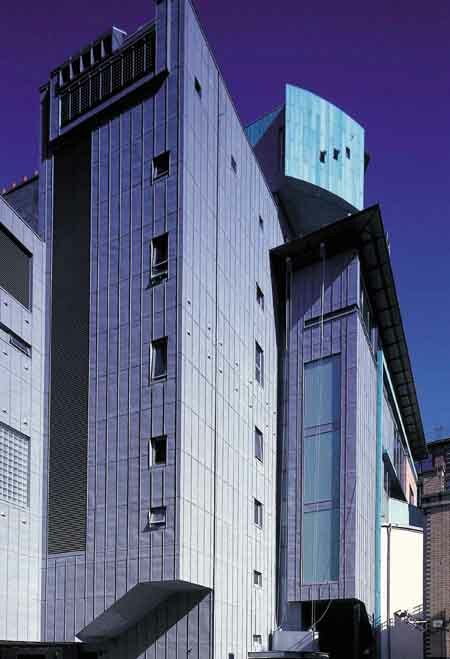 The City Architect came to fruition and Sir Terry Farrell was chosen in early 2004 to be Edinburgh City Design Tsar. The next step is surely to take the remaining surface car parks (bordering station up to North Bridge) which have absolutely no place in the centre of a World Heritage Site (how have they managed to survive) underground and replace with a great urban park. The Waverley Valley squeezes past Calton Hill and widens to the East: given the morphological context the built environment could hardly get worse, but it does. In a sea of mediocrity, the powerful forms of Meadowbank stadium should be retained and upgraded. To the East we have the dull brown brick hulks of empty St Margaret’s House and it-looks-like-it’s-empty-but-it’s-not Meadowbank House; across the road we have Macdonalds and six ugly‘sheds’ – a car wash, rac, Abbeyhill Methodist church (ok, it has a quirky charm), dollond & aitchison, indespension and stonecraft, plus a few untitled sheds – that have absolutely no place so close to our great city centre and which should be replaced urgently. Such central land should have much higher density development, these sheds are indefensible at the Jewel, but beyond belief here. They should go, not the stadium. Large buildings such as and the Royal Commonwealth Pool may have high overheads as they grow old but are strong, considered buildings: why not investigate imaginative refurbishment? Of course we could have a shot at replacing them with better buildings, but how many of us think that is likely if it should happen? In a climate of large public (ie publicly-incepted and driven) buildings going the PFI procurement route, the likely replacements could be dull as dishwater. The interiors profiles quality Scottish interiors elements such as furniture, lighting and fabrics: more Scottish suppliers, designers and manufacturers are welcome to join the Design Profiles. The Edinburgh and Glasgow links pages have been rearranged with a new vastly extended shared page for Scotland, UK and Global links: this forms the most extensive global architectural links information in Scotland, and one of the best in the World. Different formats suit different needs, I hope the links page will be your starting point, unlike architecture.com or Death by Architecture, it’s hierarchy begins with the most used links, ie our own Scottish sites. The Dining, Environs, Old Town, New Town and News Summary pages have all been improved. The website continues its involvement with the Old Town Fire Ideas Competition following a talk, judging, Press Conference, exhibitions at the University and the RIAS. I feel slightly embarassed at its continuing high profile in the media, when I was approached to jointly run it I imagined a quick breath of fresh air amid the polarisation prevalent at the time; however, I do continue to sanction the idea of getting results of students’ engagement with our city into the public realm and encouraging aspiration for our city’s spaces and places, from public and the profession alike. The Lighthouse Innovation Fund Playwall in Haddington is complete and was another reminder to me of how doctrinaire approaches stifle creativity, bizarre safety requests courtesy of European regulations that don’t appear in the new playground my children loved in Copenhagen or the one I can see from my Dining Room.